My absolute favorite was Clockwork Princess by Cassandra Clare. But I had many other favorites, so I'm breaking it down by genre too. Splintered by A. G. Howard. This was on my TBR list for over a year before I actually read it, and I thought for sure I would love it, but it wasn't as good as I'd hoped. I did enjoy it (I gave it 3.5 stars) but definitely not as much as I'd thought I would. Pawn by Aimee Carter. I liked Carter's Goddess Test series, but they weren't favorites, so I wasn't expecting much of Pawn. But I was so impressed with the solid storytelling and writing. It was a pleasant surprise! 4. Book you read in 2013 that you recommended to people the most in 2013? Probably Let the Sky Fall by Shannon Messenger. I convinced my best friend to read it and she absolutely loved it! Ohh...I can't pick just one! I'll go with two. The Curse Workers series by Holly Black and The Wolves of Mercy Falls series by Maggie Stiefvater. I loved both series so much! Sarah Dessen, Richelle Mead, Victoria Scott, and Rainbow Rowell. Richelle Mead's Vampire Academy books. Usually I hate books about vampires, but I actually enjoyed the Vampire Academy books a lot. I will probably be rereading Pivot Point, Unravel Me, and Perfect Ruin before their sequels come out! Hmm. Probably Celaena (Crown of Midnight) or Caymen (The Distance Between Us). I love how tough and strong Celaena is, and Caymen is full of sarcasm and dry wit that had me cracking up. 12. Most beautifully written book in 2013? Perfect Ruin wins without question. But I also loved the writing in Unravel Me and The Beginning of Everything. Clockwork Princess. It will challenge your views on love and friendship. Heartbreaking, yet so thought-provoking. "I am haunted by humans." - The Book Thief. "Life is a book and there are a thousand pages I have not yet read." - Clockwork Princess. "The madness of youth made me unafraid." - Perfect Ruin. Shortest - Charm and Strange (216 pages). Longest - The Sweet Far Thing (819 pages). Chapter 62 of Unravel Me. Ahh, the feels. Also, the endings of Clockwork Princess and Allegiant. 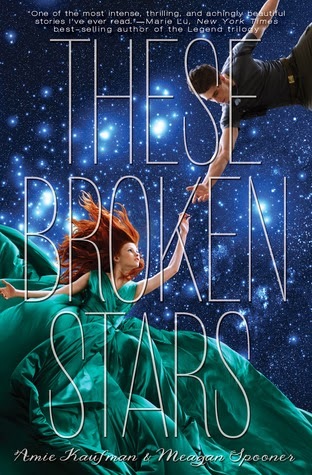 Tarver and Lilac (These Broken Stars) and Celaena and Chaol (Crown of Midnight). I ship them sooo hard, you guys. Sever, Deception, Crown of Midnight, Crash Into You. None in particular that I can think of, but I suppose The Book Thief. Everyone was gushing about it and the general hype with the movie coming out pushed me to read it, and I LOVED it. Fantasy/paranormal, with dystopian as a close second. Not a Drop to Drink, Let the Sky Fall, Pivot Point. The Diviners! The atmosphere and historical details were so in-depth and rich. Stir Me Up and Smart Girls Get What They Want were such fun contemporaries! 26. Book that made you cry in 2013? I sobbed through the epilogue of Clockwork Princess. Also, The Beginning of Everything and The Book Thief brought some tears. All Our Yesterdays was a really fantastic time travel book and I definitely think it deserves more hype. Probably Sarah Dessen? I started her books last year and I still have several I haven't read yet, so I need to finish them soon! 2. Book you are most anticipating in 2014 (non-debut)? Ignite Me and Split Second. I CAN'T WAIT. Camelot Burning. Awesome premise. Can't wait! Shatter Me. Gah. I need to know how that series ends. Also the Everneath series, Dante Walker series, The Selection series, Defiance series, The Grisha series, Mortal Instruments, Lux series. Whew, that's a lot. If you did an End of Year survey, please comment with a link. I would love to stop by and read it!